The ground electronics maintenance OccFld includes the installation, diagnosis, repair, adjustment, modification, and calibration of electronic equipment and systems used by Marine Corps ground forces. The equipment and systems include various types of communications hardware, data terminals, cryptographic devices, ground radar, nuclear, biological and chemical detection electronics, unmanned aerial vehicle electronics, and a wide range of test equipment and calibration devices. Qualifications to work in this field include manual dexterity, normal color vision, be eligible to hold a secret security clearance, the ability to understand highly technical material, and to comprehend somewhat complex mathematical and logic principles. Types of entry-level jobs available include work as a ground communications systems repairer, ground radio intermediate repairer; telephone systems/personal computer intermediate repairer, TMDE technician, and artillery electronics technician. Formal schooling is provided to all Marines entering this field. 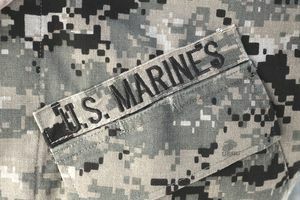 In general, entry-level training consists of basic electronics and an equipment-oriented phase at either a Marine Corps school or another service school. Advancing from the entry-level MOS will involve either related supervisory/technical level training or a lateral move to another MOS within the field. Billets for data/communications maintenance personnel are found throughout the Marine Corps but are concentrated within units having specific electronic or service support missions. Marines in this field may serve within division or wing units, communication battalions, MLG, or at a depot affecting the complete overhaul of electronic equipment. Instructor billets are found at the formal schools. Marines entering this field will be assigned MOS 2800, Basic Ground Electronics Maintenance Marine.